Last week, we introduced the twisted rook, our new sample part. This week we created this Fourth of July themed model! 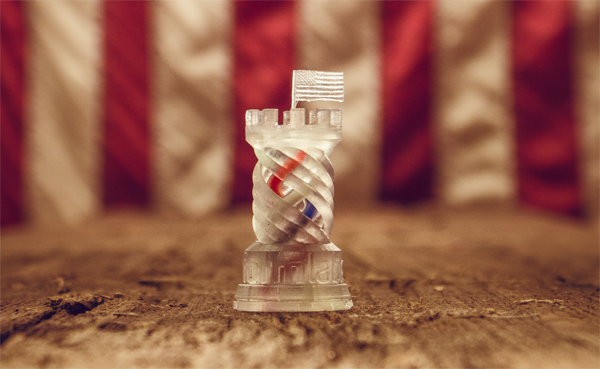 The Twisted Rook: Independence Day Edition, features new design elements that highlight the capabilities of the Form 1+. The internal helix is hollow, allowing for injected red, white, and blue dye. The top touts the USA flag along with bordering text. Interested in seeing the possibilities made possible by the Form 1+ for yourself? Request a Sample today.